206 Beacon is located on the north side of Beacon, between Clarendon and Dartmouth, with 204 Beacon to the east and 208 Beacon to the west. 206 Beacon was built in 1862-1863 by contractor and builder John W. Rollins, one of six contiguous houses (198-200-202-204-206-208 Beacon), each built in the same design with all six unified by a single cornice and roof line. John Rollins and his wife, Elmira (Nutter) Rollins, lived at 85 Pleasant. Click here for an index to the deeds for 206 Beacon. 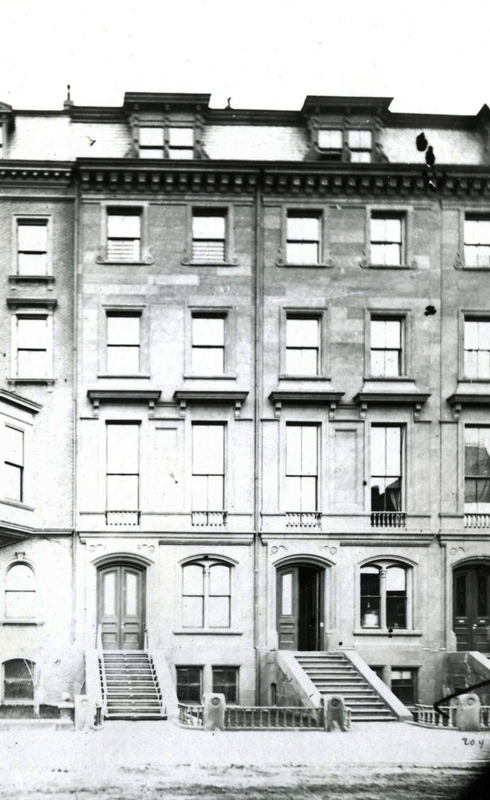 In November of 1863, 206 Beacon was acquired by George Morgan Browne through purchases from John Rollins, from John Borrowscale and Albert Betteley as assignees in insolvency of Samuel Hazard, and from William A. Richardson, who foreclosed on one of the mortgages by John Rollins and sold his interest to George Browne. George Morgan Browne and his wife, Caroline W. (Cabot) Browne, made it their home. They previously had lived in Dorchester. George Morgan Browne was a lawyer and president of the Eastern Railroad. In 1873, the Brownes were living elsewhere and 206 Beacon was the home of attorney Thomas Eugene Graves and his wife, Sarah M. (Thatcher) Graves. They previously had lived in West Newton. 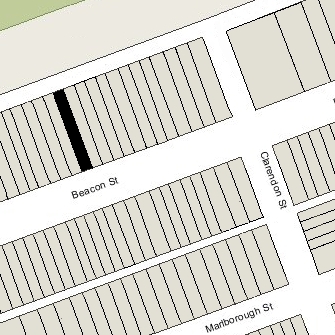 By 1874, the Graveses had moved to 196 Beacon and the Brownes were once again living at 206 Beacon. They continued to live there during the 1890-1891 winter season, but moved thereafter to Washington DC. On May 1, 1891, 206 Beacon was purchased from George Morgan Browne by Helen (Faulkner) Hubbard, the wife of Eliot Hubbard. They previously had lived at 8 Commonwealth. The Hubbards continued to live at 206 Beacon until 1923, when they moved to Cambridge. On April 27, 1923, 206 Beacon was purchased from Helen Hubbard by Constance (“Conney”) (Morss) Fiske, the wife of Gardiner (“Gardi”) Horsford Fiske, a cotton broker. They previously had lived in an apartment at 293 Commonwealth. They also maintained a home in Weston and later in Framiningham. In June of 1923, Constance Fiske filed for (and subsequently received) permission to remodel the interior of the house, including lowering the front entrance. It appears likely that the second story oriel window was added at this time. The Fiskes were close friends of author John P. Marquand, and Constance Fiske assisted him in his work, serving as a private literary critic. Gardiner and Constance Fiske continued to live at 206 Beacon until his death in August of 1955. Constance Fiske moved soon thereafter to an apartment at 68 Beacon. On December 13, 1955, 206 Beacon was acquired from Constance Fiske by Sanford L. Fisher, president of Fisher College. The property subsequently changed hands and on March 21, 1956 was acquired by William Cameron Forbes. W. Cameron Forbes was unmarried and lived in Norwood and then at the Hotel Vendôme. He was a partner in his family’s firm, J. M. Forbes & Co., merchants, and author of several books. He had served as Governor General of the Philippine Islands from 1909 to 1913, and as Ambassador to Japan from 1930 to 1932. 206 Beacon was shown as vacant in the 1956-1961 City Directories. W. Cameron Forbes died in December of 1959, and on June 23, 1960, 206 Beacon was acquired from his estate by Harry Freedman, Merle I. Locke, and Millard M. Kay. On March 2, 1961, Merle Locke and Millard Kay transferred their interest to Harry Freedman. Harry Freedman was a real estate dealer specializing in dormitories and multiple dwellings. He and his wife, Lillian R. (Zacks/Sacks) Freedman, lived in Newton. Initially, 206 Beacon was leased by Toba Esther Finn (Tresa E. (Finkelstein) Friedman), the former wife of Julian Friedman. 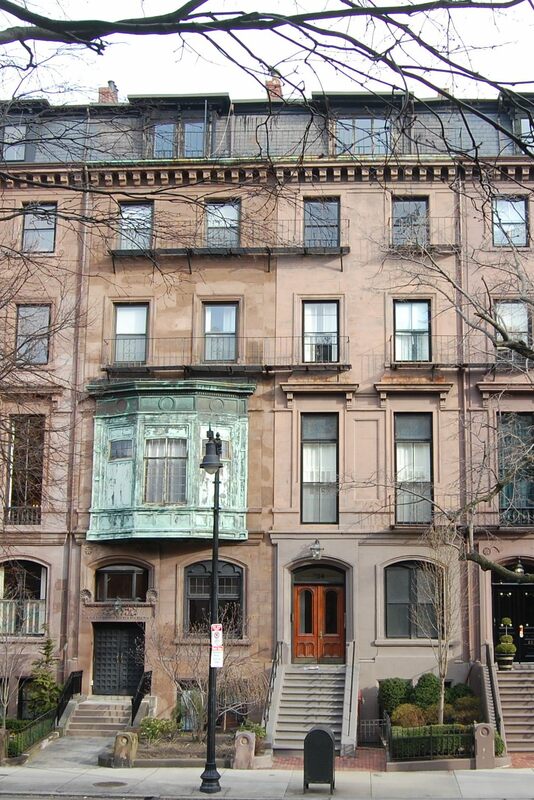 She previously had lived at 317 Beacon, where she had operated a restaurant, and also owned 163 Marlborough and 164 Marlborough, which she subsequently sold to Harry Freedman in December of 1960. In September of 1960, she applied for permission to convert 206 Beacon from a single-family dwelling into a lodging house. Prior to receiving approval, she began using the house for that purpose, providing lodgings to 35 female college students. She was ordered by the Building Department to vacate the premises because it was not in compliance with egress and fire safety requirements for a lodging house. By 1962, 206 Beacon had become the Forbes Hall Dormitory, probably named by Harry Freedman in honor of W. Cameron Forbes. In November of 1964, Harry Freedman applied for (and subsequently received) permission to convert the property from a lodging house to a dormitory. By 1968, it was operated by Garden Halls, Inc., of which he was president and treasurer. On April 28, 1969, 206 Beacon was acquired from Harry Freedman by Emerson College, which continued to operate it as Forbes Hall Dormitory. On June 29, 1976, 206 Beacon was purchased from Emerson College by Keevin Geller. In May of 1976, prior to taking title to the property, he filed for (and subsequently received) permission to convert it from a dormitory into five apartments. 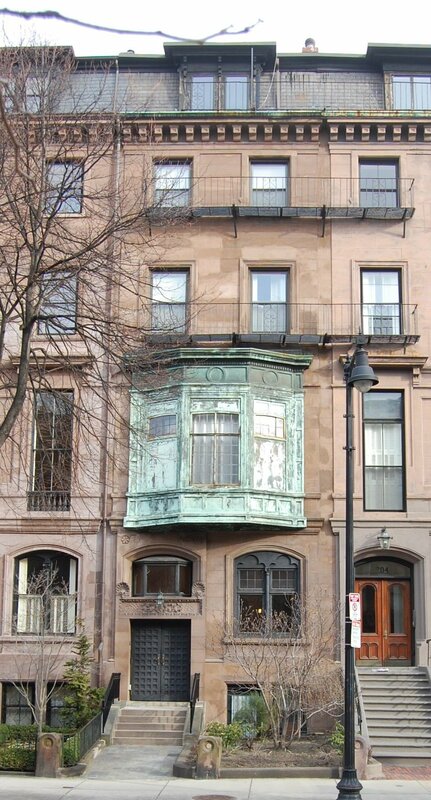 On September 24, 1976, he converted the property into five condominium units, the 206 Beacon Street Condominium.